Researchers at Missouri University of Science and Technology are working with an antioxidant that could prevent or cure cataracts, macular degeneration and other degenerative eye disorders. 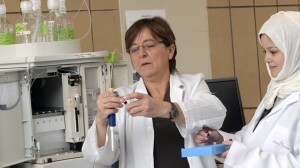 The research group, headed by Dr. Nuran Ercal, the Richard K. Vitek/Foundation for Chemical Research Endowed Chair in Biochemistry at Missouri S&T, is studying eye drops prepared with the antioxidant N-acetylcysteine amide (NACA) as a treatment for these eye conditions. Cataract formation in rats. Top left (control lens): The lenses in this group were found to contain no detectable cataracts. Top right (BSO-only lens): All lenses in this group developed very distinct cataracts, with most being nearly completely opaque. 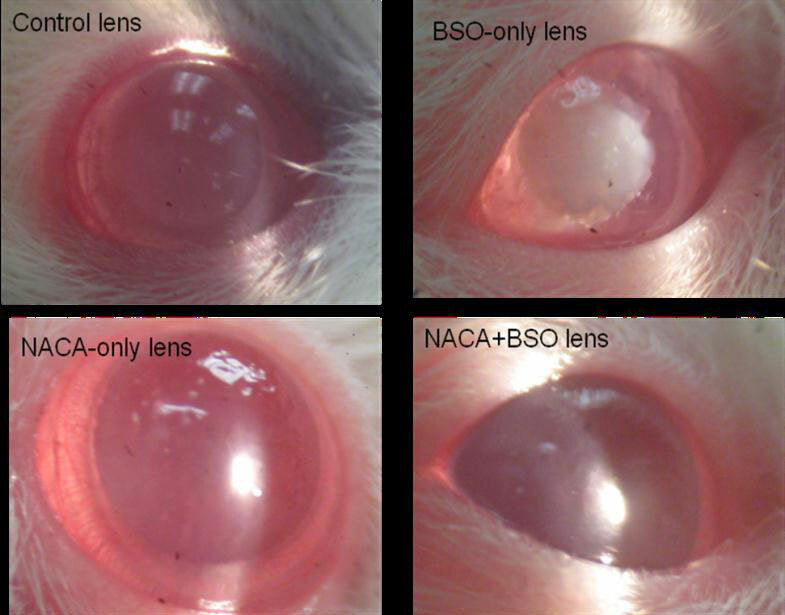 Bottom left (NACA-only lens): Results similar to those in the control group were obtained, with no detectable signs of cataract formation. Bottom right (NACA+BSO lens): The lens depicted has a Grade 1 opacity which was evident by the amount of scattering light. 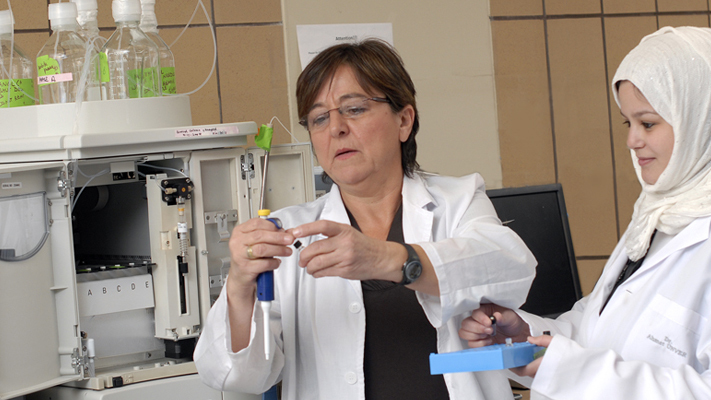 Ercal works closely with Dr. Shakila Tobwala, a post-doctoral fellow in Missouri S&T’s chemistry department. Others in the research group include the grant’s co-investigator, Dr. Humeyra Karacal from the ophthalmology department at Washington University in St. Louis, and Missouri S&T graduate and undergraduate students. Any chance this will be on the market anytime soon? It would have been nice if you would have included a potential location to purchase eye drops containing NACA…….or is this just a study? I have a dog in the family that could use those drops now. Are they available for animals yet? A promising research indeed! Hope the treatment is available in near future. This was an interesting post, being an eye care professional myself i believe that all the points were wisely selected and highlighted thanks to the brains behind this one.